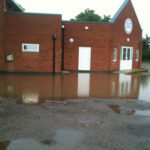 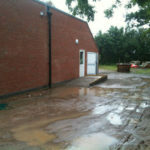 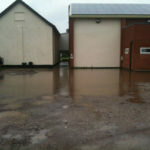 Our Car Park used to flood extensively after heavy rain, and even deterred some people from even coming onto the site. 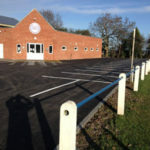 However in 2013 we had financial assistance from the Football Foundation, Hinckley & Bosworth Borough Council, Awards for All, Fields in Trust and Desford Parish Council. 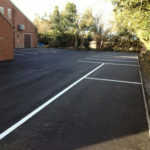 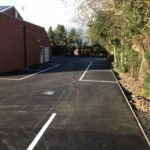 These funds collectively allowed us to tarmac the whole car park on 3 sides of the clubhouse, just before Christmas 2013. 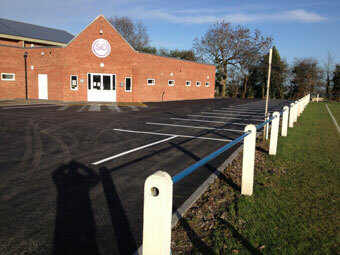 The marked out spaces have increased the capacity by 50% to 47 spaces around the clubhouse.